Dubai consumes millions of gallons of bottled water and we're all familiar with the 5 gallon bottles in this land of plenty. BUT what do we know of water production, bottling and delivery. We will open up the water industry to see what the fuss is all about. Apartments and villas in Dubai are blessed with running water! BUT everyone (tourists and residents alike) wants to know if it is safe to drink. Dubai Electricity and Water Authority (DEWA), the body responsible for providing this service, state that it is when it leaves their sites. The problem is that you can never be sure of the infrastructure (the pipes, storage tanks etc) through which the water moves. DEWA insist that all towers’ water storage tanks are cleaned on a regular basis but, unfortunately, there are some rather naughty landlords/owners/facilities management companies etc, i.e. those responsible for this work, who conveniently ‘forget’ to do this. Sometimes the water may run brown for a short while – sand has been allowed to accumulate but it’s not going to make you sick. What will make you sick is water that has been allowed to stagnate or run through damaged pipes and allow yeuky things to enter. You can cook using water from the tap but boil it just in case. 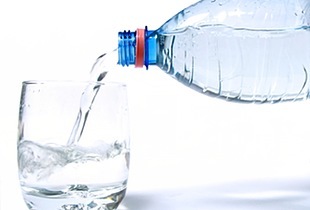 Quality filters and/or a full water dispenser which is connected to the electricity supply and which provides perfect drinking water from your tap by is another way to go. The service should be good as well! If not, we want to hear about it.